Not every UFC fighter gets the benefit of a fast track to the top. They can’t all be Conor McGregor or Francis Ngannou. 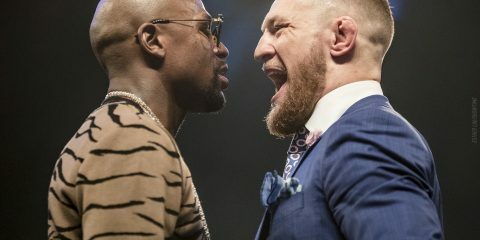 In some cases, fighters can take multiple years and multiple fights to even gain real recognition from the UFC brass and fight fans. Take Kamaru Usman. 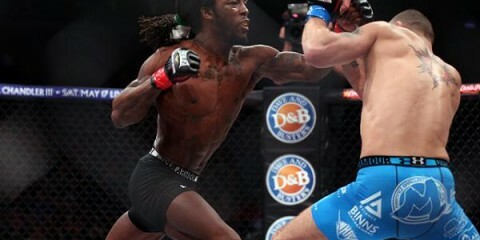 “The Nigerian Nightmare” first appeared on The Ultimate Fighter 21, where he decisioned two opponents before submitting Hayder Hassan at the show’s live finale event. This put his official Octagon debut in 2015. Usman returned for one more fight that year and decisioned Leon Edwards. His streak of UFC victories continued with wins over Alexander Yakovlev, Warlley Alves, Sean Strickland, Sergio Moraes and Emil Weber Meek. Finally, after six straight UFC victories spanning more than two years, Usman found main-event status and took out Demian Maia and Rafael dos Anjos en route to earning a title shot against Tyron Woodley that’s now scheduled for UFC 235 in March. Compare this with the path of the aforementioned McGregor. The Irishman scored two victories, including a decision nod over future UFC champion Max Holloway, in 2013. It was enough to spark a run in which McGregor headlined all but one of his UFC fights from 2014 to present. The McGregors of the MMA world are rare. The Usmans, not so much. Most fighters have to work long and hard during their UFC careers to earn a top-tier spot. They don’t get it handed to them just two fights in. So, who could potentially make up the next wave of fighters to rise from long, successful UFC careers and finally get their due? Some fighters benefit from a change of divisions. 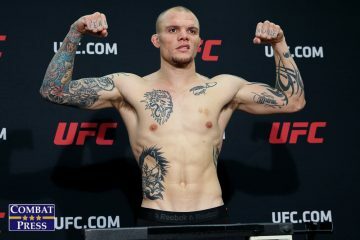 Current light heavyweight top contender Anthony Smith is a perfect example. 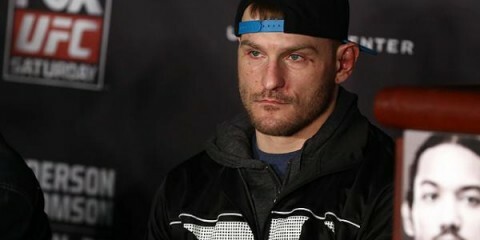 After toiling around the middleweight division for years, Smith moved to light heavyweight and had a breakout campaign in 2018. Santos, who trained in capoeira for eight years before pursuing a career in MMA, appears to be following in Smith’s footsteps. “Marreta” entered the UFC in 2013 with a loss to Cezar “Mutante” Ferreira. The Muay Thai and Brazilian Jiu-Jitsu black belt continued to ride a roller coaster of ups and downs to a respectable 10-4 mark that included a middleweight win over the aforementioned Smith, additional victories over Elias Theodorou, Nate Marquardt and Jack Hermansson, and losses to Uriah Hall, Gegard Mousasi, Eric Spicely and David Branch. His fortunes shifted, however, when the 35-year-old Brazilian moved up to 205 pounds. He’s gone on to finish Eryk Anders in the main event of UFC Fight Night 137 and knock out Jimi Manuwa in the second frame of their UFC 231 bout. Originally a member of The Ultimate Fighter: Brazil 2 cast, Santos now enjoys a spot in the UFC’s light heavyweight top 10. He’s slated to headline once again at UFC on ESPN+ 3 opposite Jan Blachowicz. Beyond Santos, Australia’s Volkanovski is arguably the closest to achieving top-tier status among the fighters on this list. The 30-year-old Freestyle Fighting Gym product entered the UFC in late 2016 and quickly established himself as a rising star. He got his foot in the door at lightweight with a ground-and-pound stoppage of Yusuke Kasuya, but he quickly shifted his focus to the featherweight division, where he decisioned Mizuto Hirota and Shane Young. The UFC took notice and lined Volkanovski up against Jeremy Kennedy, resulting in another ground-and-pound finish for the Aussie. He’s gone on to decision Darren Elkins and stop perennial contender Chad Mendes. The former rugby player is now ranked fourth among UFC featherweights and could soon land a title shot. Calderwood holds the honor of being the only woman on this list. This is partially due to the newness of the women’s divisions, and also due to the UFC’s tendency to quickly elevate any potential contender through the ranks to bring new challengers to the forefront. Calderwood is a special case. When the UFC first added a women’s strawweight division, “JoJo” was already a star under the Invicta FC banner. The talented Scottish kickboxer didn’t quite live up to her reputation early in her UFC tenure. She lost one of her The Ultimate Fighter 20 exhibition bouts to future champion Rose Namajunas and then lost her official sophomore outing with the company to Maryna Moroz. After building some momentum with two victories, the 33-year-old was served up back-to-back losses. Fortunately for her, the UFC opted to add a 125-pound weight class, and Calderwood, who had already picked up a UFC win over Valérie Létourneau in a one-off flyweight contest, moved up and submitted Kalindra Faria in the first round. Calderwood continued to impress with her improved all-around game by decisioning KSW import Ariane Lipski at UFC on ESPN+ 1. She’s still a bit low at No. 7 among the UFC’s ranked flyweight ladies, but Calderwood might finally have a route to a title and sustained success. How is it that a fighter with 26 wins and just two losses can manage to stay so far out of the UFC’s spotlight, even while fighting inside the Octagon since 2013? That’s a question Brazil’s Prazeres must ask himself on a regular basis. The 37-year-old BJJ black belt lost two of his first four UFC fights — he dropped decisions to Paulo Thiago and Kevin Lee — but he is now riding an impressive eight-fight winning streak. “Trator” entered the UFC in a welterweight fight, spent a huge chunk of his time in the Octagon at 155 pounds, and recently moved back up to welterweight. Along the way, he’s notched victories over the likes of Mairbek Taisumov, Gilbert Burns, Josh Burkman, Des Green and Zak Cummings. Only three of his 12 UFC fights have taken place on the main card, though. This probably has something to do with the Brazilian’s tendency to go the distance. Prazeres might have his chance to break through in February at UFC on ESPN+ 3, where he meets Ramazan Emeev — on the preliminary card. Despite his solid winning run, the grappler is absent from the UFC rankings. Gillespie’s four-time NCAA Division I All-American wrestling skills have translated well to the Octagon, where he has toppled six opponents. The former Ring of Combat lightweight and welterweight titleholder made his Octagon debut in 2016 with a decision nod over Glaico França. He flashed his power at UFC 210 with a 21-second knockout of Andrew Holbrook. Finishes of Jason Gonzalez (arm-triangle choke), Jordan Rinaldi (ground-and-pound strikes) and Vinc Pinchel (arm-triangle choke) followed. Most recently, Gillespie provided Yancy Medeiros with a rude welcome to the lightweight ranks. Gillespie’s wrestling and ground-and-pound skills left Medeiros with no answer. The 31-year-old climbed to the 11th spot in the UFC rankings with his victory over Medeiros, and his undefeated overall mark suggests that he’s poised to take the next step in 2019. Theodorou has been a fixture in the UFC for so long that it’s hard to believe he is just 30 years old and has suffered only two professional defeats. 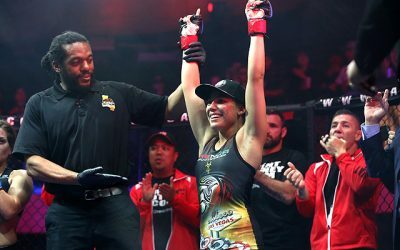 “The Spartan,” who also serves as Invicta’s ring-card guy when he’s not fighting, entered the UFC through The Ultimate Fighter Nations competition in 2014. He beat Sheldon Westcott at the finale show to capture the TUF crown. The Canadian fighter went on to win seven of his next nine fights, with his only losses coming against Thiago Santos and Brad Tavares. 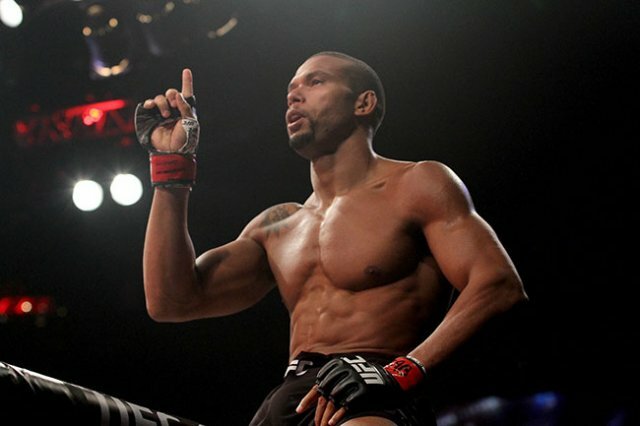 He has scored notable victories over the likes of Sam Alvey, Cezar “Mutante” Ferreira, Daniel Kelly and Eryk Anders. He’s now riding a three-fight winning streak that has positioned him at No. 14 in the UFC’s middleweight rankings. Junior, much like Usman and many of his peers on this list, used The Ultimate Fighter reality series as his entry point into the world’s biggest MMA organization. “Cara de Sapato” was on the third Brazilian iteration of the show, where he stormed through three foes before decisioning Vitor Miranda at the live finale. That win came at the heavyweight level, but the 28-year-old was really a bloated middleweight. 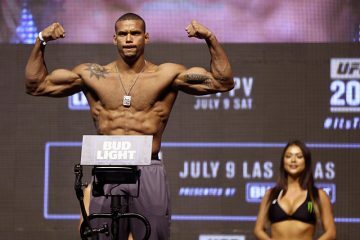 He took a loss to Patrick Cummins at light heavyweight before finally making the move to 185 pounds, where he’s remained ever since. After going 1-1 with no-contest over his first three middleweight outings with the UFC, the Brazilian has rattled off five straight wins, including first-round submissions of Jack Marshman and Tim Boetsch. The BJJ world-champ black belt struggled with injuries in the latter half of 2018, but he resides at No. 12 in the UFC’s middleweight rankings. The company has been trying to book him opposite another fringe contender, so his prospects look good for a breakthrough in 2019. Russia has provided a number of prospects to the UFC, and the 27-year-old Makhachev is among the most successful. 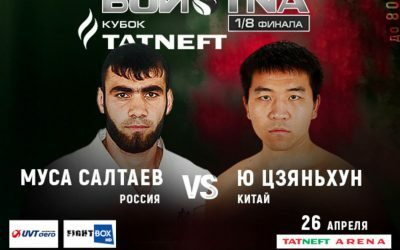 The Dagestani fighter joined the company in 2015 and won his promotion debut, but a loss to Adriano Martins proved to be a major setback. The combat-sambo world champion has worked his way back with victories over Chris Wade, Nik Lentz, Gleison Tibau and Kajan Johnson. Makhachev, a training partner and longtime friend of Khabib Nurmagomedov, has had fights scheduled against Michel Prazeres and Francisco Trinaldo, but he was forced out of both contests. These fizzled outings likely contribute to Makhachev’s failure to crack the UFC’s lightweight rankings. 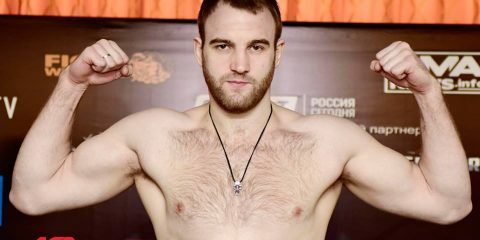 The 30-year-old Taisumov is another Russian on the brink. The Tiger Muay Thai disciple made his Octagon debut in 2014 with a win over Tae Hyun Bang, but he was handed a loss in his next outing against Michel Prazeres. Taisumov has been perfect through six subsequent UFC appearances, including five finishes. His list of victims includes Alan Patrick and Felipe Silva. Most recently, the Chechen fighter decisioned Des Green. Taisumov is another unranked UFC fighter trying to break through in an incredibly crowded lightweight division. Sweden’s Teymur is a highly successful kickboxer who later made the transition to MMA. The 29-year-old trains out of the Allstars Training Center that has also served as home to Alexander Gustafsson and Ilir Latifi. He entered the UFC as many others do, through The Ultimate Fighter reality series. Teymur competed on the 22nd season of the show, where he was eventually eliminated by Marcin Wrzosek. Teymur rebounded by making his UFC debut in early 2016 and maintaining a perfect record with the company. 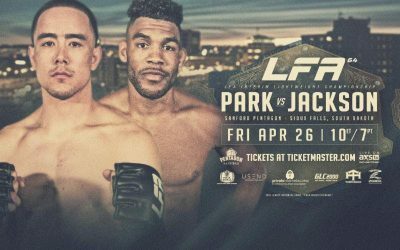 His first two promotional fights ended in finishes, but he’s had to settle for decisions in his fights with Lando Vannata, Drakkar Klose and Nik Lentz. Teymur is another lightweight struggling to crack into the UFC’s top 15, and it could happen in early February if he performs well against UFC on ESPN+ 2 opponent Charles Oliveira. England’s only representative in this list comes in the form of the 25-year-old Allen, who trains out of Canada’s Tristar Gym. “Almighty” made a successful Octagon debut in 2015 when he submitted Alan Omer. He added a unanimous verdict over Yaotzin Meza and a split decision over Makwan Amirkhani before scoring a far more decisive win with a submission of Mads Burnell in his lone bout of 2018. Allen was set to close the year with a big fight against Gilbert Melendez, before Melendez pulled out with an injury and was replaced by Rick Glenn. Allen still missed out on the opportunity, however, when he in turn had to withdraw with an injury. Allen’s trend of one fight per year has made it difficult for him to make headway in the UFC’s featherweight rankings, but a busier 2019 could be all it takes to bring Allen to the forefront of the division. 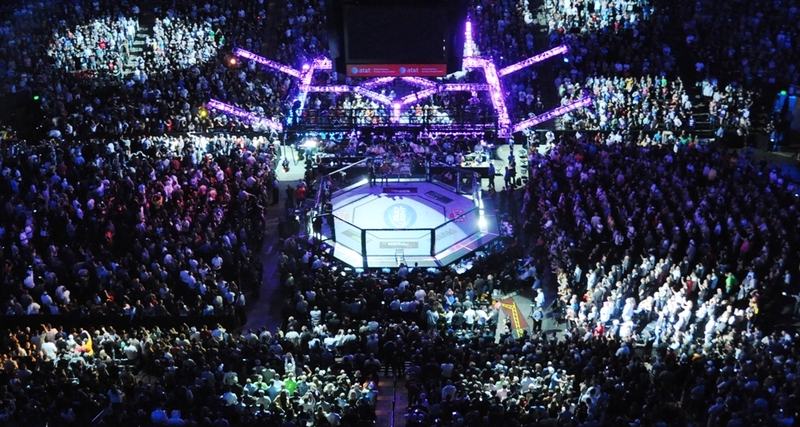 The UFC has long sought to make inroads in Mexico, but it might not be utilizing all of its assets to their fullest potential. Take Perez, for example. 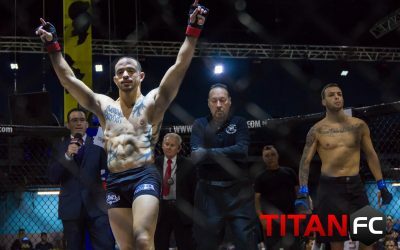 The Mexican-born, California-based bantamweight came into the organization via the first Latin American season of The Ultimate Fighter, where he topped Jose Alberto Quiñones on the preliminary card of a pay-per-view event to take home the tournament’s top honor. 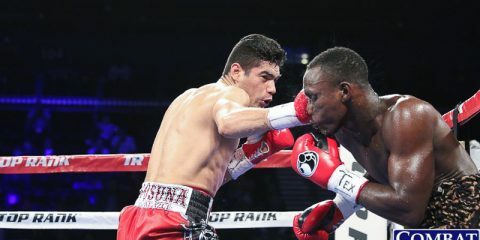 “Turbo” lost his very next bout to Patrick Williams, but he has gone undefeated through his seven most recent appearances, with six wins and a majority draw. The draw would have been an additional win for Perez, had he not been deducted a point. The bantamweight has defeated such notables as Scott Jorgensen, Iuri Alcantara and Eddie Wineland. Despite all of his success, Perez has only landed on one UFC main card, and his upcoming UFC 235 bout against Yadong Song will once again place the 29-year-old standout on the prelims. However, he’s already ranked at No. 12 among the UFC’s bantamweights, and it’s going to be difficult for the UFC to keep burying Perez if he keeps winning. No fighter on this list is a sure bet. One flash knockout or mistake on the mat could turn a rising star into an also-ran. Yet, some fighters are bigger dark horses than the rest. So is the case with our last two fighters on this list. First, there’s longtime UFC vet Martin. The 29-year-old has been a mainstay in the Octagon since early 2014, but he’s struggled to break out from the pack. The BJJ black belt went just 1-3 through his first four UFC fights, which accounts for his mediocre 7-4 UFC mark. He’s done a remarkable job of turning the tide, though. In 2016, he kicked off a three-fight winning streak that was only snapped when he was edged via split decision by Olivier Aubin-Mercier. Not deterred, Martin moved from lightweight to welterweight. 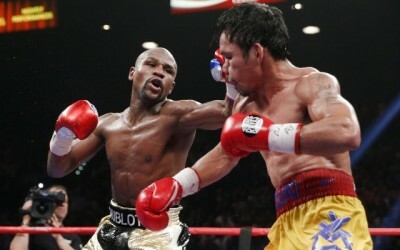 He has gone on to rebound with another three wins to give him six victories over his last seven fights. He’s undefeated at welterweight in the UFC, and he holds wins over Keita Nakamura, Ryan LaFlare and Jake Matthews. 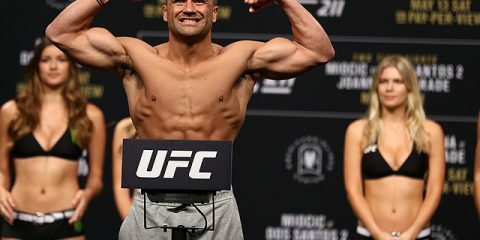 Martin, who remains outside of the UFC’s welterweight top 15, will try to keep his momentum going in a March contest against Sergio Moraes on the main card of UFC on ESPN+ 4. Whereas Martin was plagued with losses at the lightweight level that turned him into a dark horse on this list, Silva just can’t seem to stay busy with the UFC. The BJJ black belt made his UFC debut in early 2014, but he only has three fights with the promotion over five whole years. The Brazilian has been tormented by injuries. He decisioned Brad Scott in his first Octagon appearance and then was lined up to fight Neil Magny, but an injury forced him out. He returned in late 2014 and squeaked by Leon Edwards via split decision. Subsequent fights with Nordine Taleb and Siyar Bahadurzada were scrapped as well, and Silva ultimately remained on the sidelines from 2015 through 2017. He returned in 2018 and submitted Taleb in the first round, but injury haunted him again when he was forced out of a fight with Ramazan Emeev. Silva is once again slated to return, this time at UFC on ESPN+ 5 in March against Danny Roberts. The 36-year-old could be a force in the UFC’s welterweight division, but he’s just as likely to challenge Dominick Cruz for the title of most cursed UFC fighter of all time. UFC’s Anthony Smith: Do You Know Me Now?